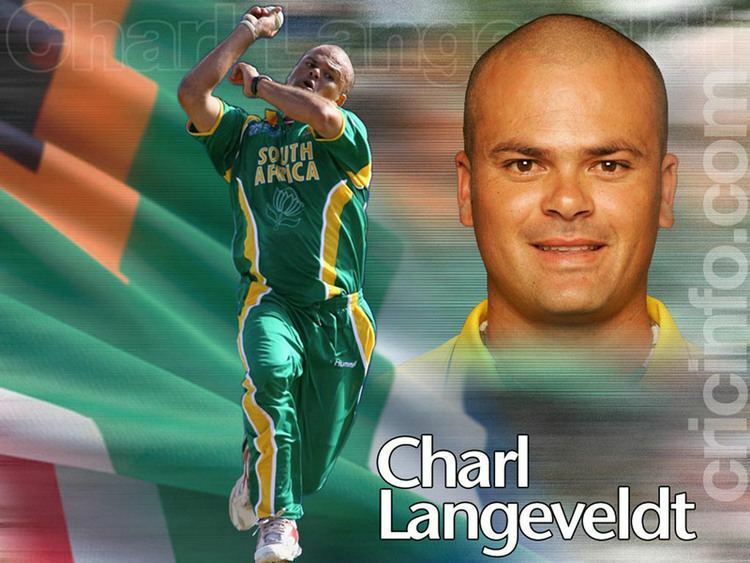 Charl Kenneth Langeveldt (born 17 December 1974) is a retired South African cricketer. 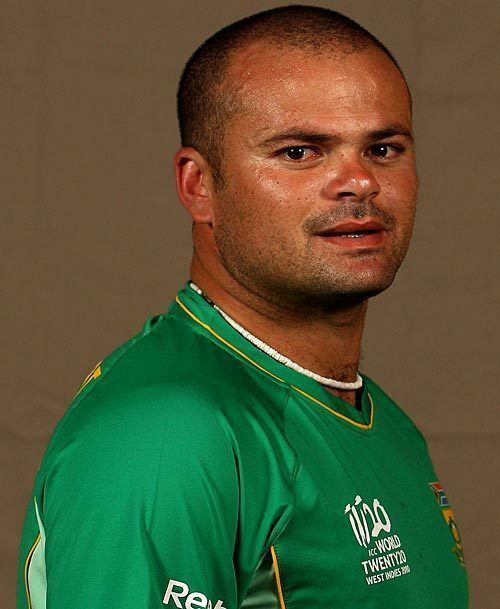 A right-arm fast-medium bowler, he played for the South Africa national team between 2001 and 2010, primarily in One Day Internationals. He is the current bowling coach for the national side. Langeveldt worked as a warder at the Drakenstein Correctional Centre before pursuing his career in cricket. He made his Test debut in January 2005 against England at his home ground of Cape Town and took 5 for 46 in the first innings. His ODI debut came much earlier, in October 2001 against Kenya at Kimberley, where he took two wickets. He was rewarded with 4 for 21 in the following game at Newlands. Included in South Africa's 2003 World Cup squad, he played in only one game which was in the pool stage against Kenya. In 2005, in the 3rd ODI against the West Indies at Barbados, he took a hat-trick in the last over as South Africa won the match by 1 run. He bowled Ian Bradshaw and Daren Powell before getting Corey Collymore LBW to seal the victory. It was the first ever ODI hat-trick by a South African. In 2005, Langeveldt was Morecambe Cricket Club's professional player; he later returned to the Northern Premier League for the 2007 season with Netherfield Cricket Club. 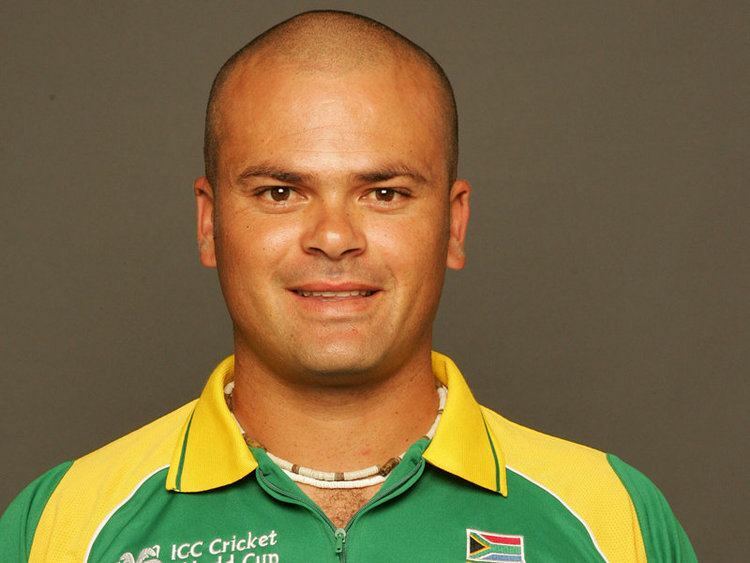 In 2007 he played in his second Cricket World Cup and after taking 5/39 in their win against Sri Lanka he became just the third South African to take a World Cup 5 wicket haul, which was also the first 5 wicket haul of the 2007 World Cup. In early 2008, Langeveldt was controversially selected in the Test team for tour of India, at the expense of the white paceman André Nel. This was widely believed to be due to an order from Cricket South Africa to select more non-white players in the team as part of its transformation policy, rather than performance. Langeveldt declined his selection, citing the controversy over the selection. In 2008, Langeveldt joined Derbyshire as a Kolpak player, before playing for Kent as an overseas player in the 2011 Friends Life t20. Langeveldt also played for the Bangalore Royal Challengers in the Indian Premier League (IPL).